Sometimes we confuse progress and novelty. Not everything new is an improvement. What the off principle offers is not newness but rather simplicity. The Off-principle is not trying to replace breaks, peeks or controls and yet it is making them less relevant. The off principle is not an advanced move or trick and yet it is able to improve almost every card trick. The off principle is complex in it s applications and yet simplifies almost any card trick you are about to perform. Yesterday you used controls to keep track of the spectators card, now it is still possible but unnecessary. Yesterday you used breaks, you used false shuffles to appear losing the selection. Now the spectator can shuffle the cards. 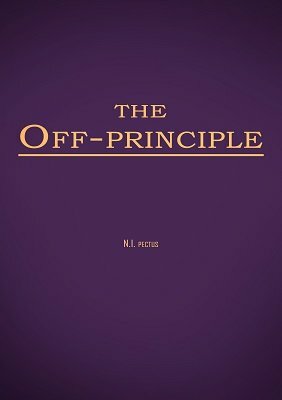 The off-principle is not a trick it is a principle with huge ground of application. In the past people used CD-players to listen to music, they used a camera to take pictures and a phone in order to talk with others. But now we have a smartphone, which can not only be used to call people. It is used to take pictures and listen to music as well. Notice the mere activity of listening to music or taking pictures remained. The new thing rather was simplicity. In the same way I can testify that with the Off-principle everything became simpler.